RoNiN has put together another great desktop wallpaper for us again this year! 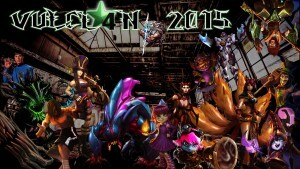 If you want to grab the official VulcLAN XV Wallpaper, snag it below. Thanks RoNiN! As we are celebrating 15 years of VulcLAN this year, I thought it would be appropriate to take a look back and see where we’ve come from. 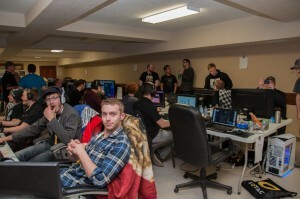 VulcLAN had it’s “official” beginning back in 2003, but it started a few years before that in the side room of a local computer shop – Dallmann Computers. That was a humble and glorious beginning for all of us back then. VulcLAN 2017 Announced!!!! Save the Date! Good Day All! While we have been working hard behind the scenes planning to make our 15th annual VulcLAN a fantastic event, there has been little mentioned on the VulcLAN site. My apologies. Here’s some good news. 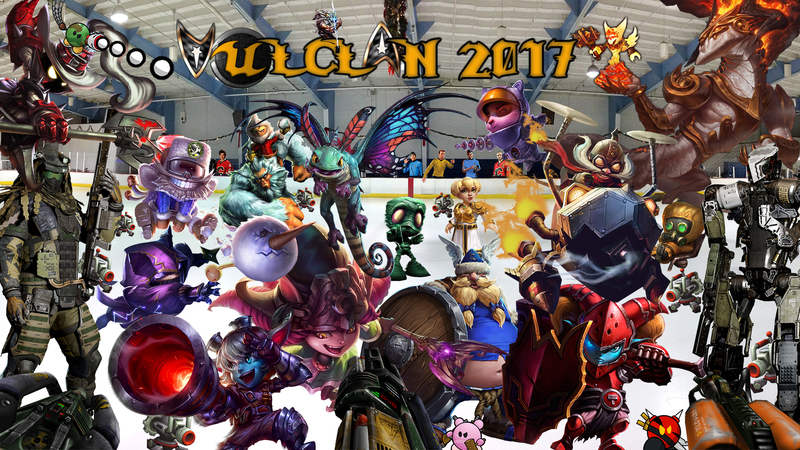 VulcLAN 2017 is on March 16-19, 2017!!! We will be back at the CRC and are making room for more people this year as the last couple of years at the lodge has been getting a little cramped. Please, PLEASE invite your friends as we will be having an Xbox One tournament again, some amazing prizes and of course, fantastic PC gaming at its finest. For those of you that missed VulcLAN 2016, you can take a look at all the pictures, prizes and gaming fun that you weren’t a part of. Next year… For those of you that attended, check them out and enjoy! If you want to get all your games up to date, here are the links you will be a-needing! If you have the game installed via Steam, you will have the patches already installed. If not, you’ll need to go through the tedious process of installing them. Get them – starting at 1.1. If you have any questions, please drop us a line right here. In the meantime, get the games installed and polish up! Patches and legit games copies will likely be available at VulcLAN 2016, but it’s always best to be prepared. We have a ton of game possibilities for VulcLAN 2016 – including Teeworld, (New) Unreal Tournament, Call of Duty 4, League of Legends, Heroes of the Storm, Halo 4 and many more. The problem is that we don’t have that much time to play them. We will have two “official” tournaments for big prizes and these tournaments will be Call of Duty 4 as well as League of Legends. Other tournaments that will go pretty quick are Teeworld and the new Unreal Tournament (Last Man Standing or similar). We will be running a separate Halo 4 tournament on Xbox One’s that will be available for play upstairs. It will be a very busy year, and we hope to have a lot of prizes, fun and good times. Make sure to sign up, pick your seat and get ready to game in February this year. 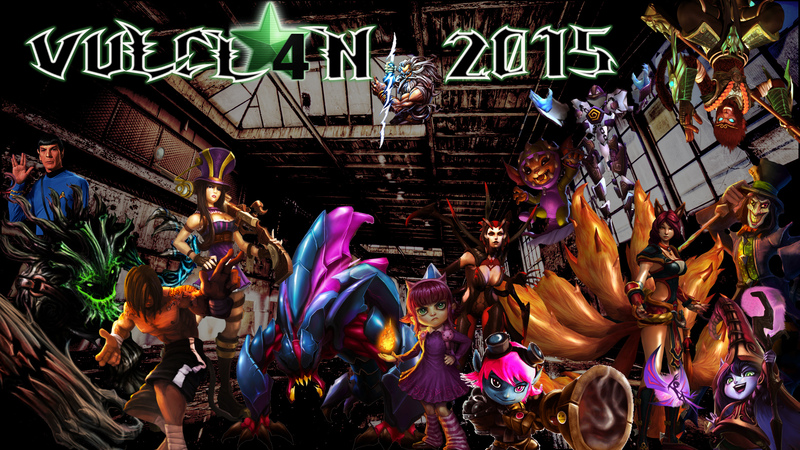 If you want to check out the gallery from VulcLAN 2015, you can head on over here and check it out! I’d like to offer another special thanks to all of our sponsors and for each and every gamer that came and played. Also to those that stopped in to take a look and see what all the fuss was about. I’d like to send a huge thanks (and some major credit) to RoNiN! 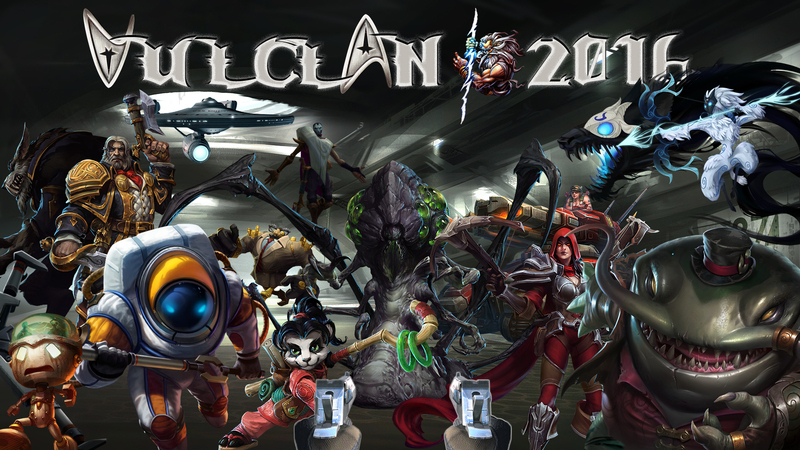 He has once again come through with a great VulcLAN Wallpaper to grace your desktop during the LAN (or before). Thanks much! You can take a look below and go get it by clicking on it! It’s little things like this that mean a lot and is why we keep on doing what we’re doing – making VulcLAN the best gaming event in Southern Alberta!! We have launched a brand-new website for VulcLAN and are open for business. Go take a look, grab a seat, and use the comment section below to co-ordinate your seats with your buddies. We fully expect to fill up again this year as we have people coming from Texas (y’all) as well as from B.C. It’s going to be great and we would love you to have you there!